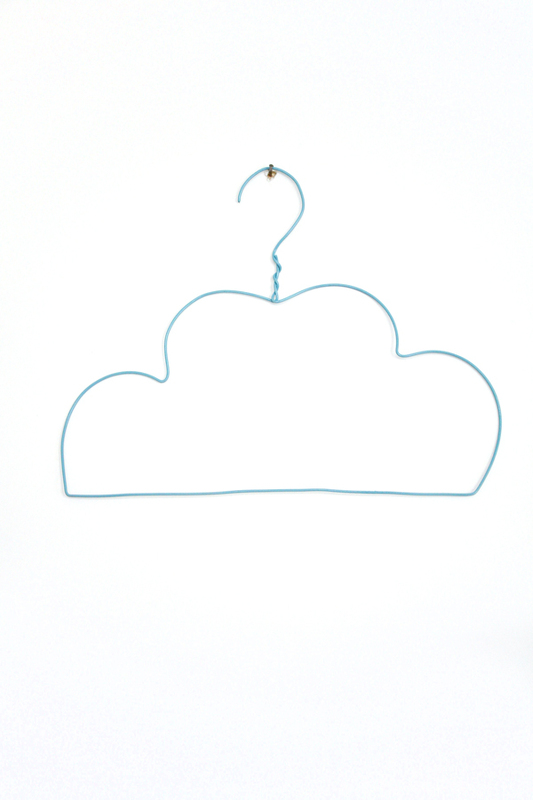 Make your own cloud shaped coat hanger!A while ago I saw some cute cloud shaped coat hangers made from laser cut birch plywood online, and it sparked the idea of making my own from wire. These would be so adorable to hang kids clothes, display your jewellery or just as decoration. 1. 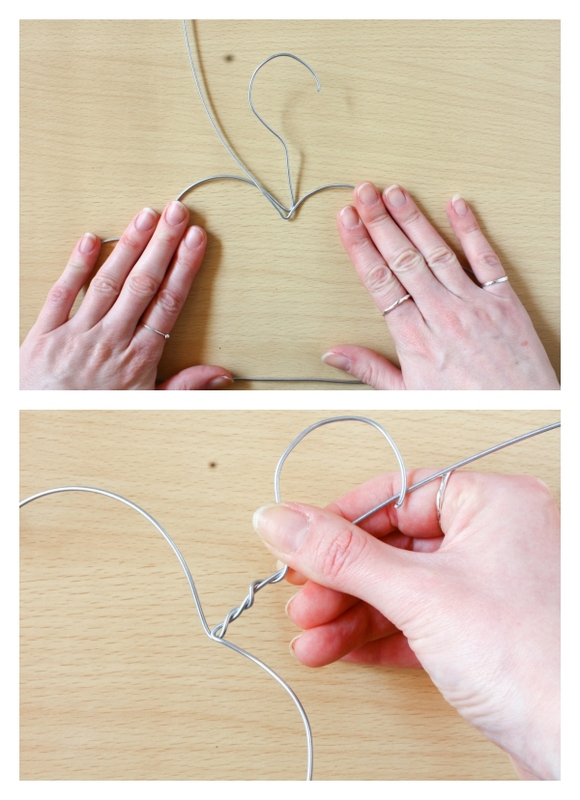 Cut a 1 metre length of steel wire and form a loop at one end, using your hands or pliers. Make a right angle bend, leaving a 3-4cm gap. 2. Take a cylindrical object (the can of spray paint works well!) and wrap the wire around it once. Approx halfway around the loop create another right angle bend. 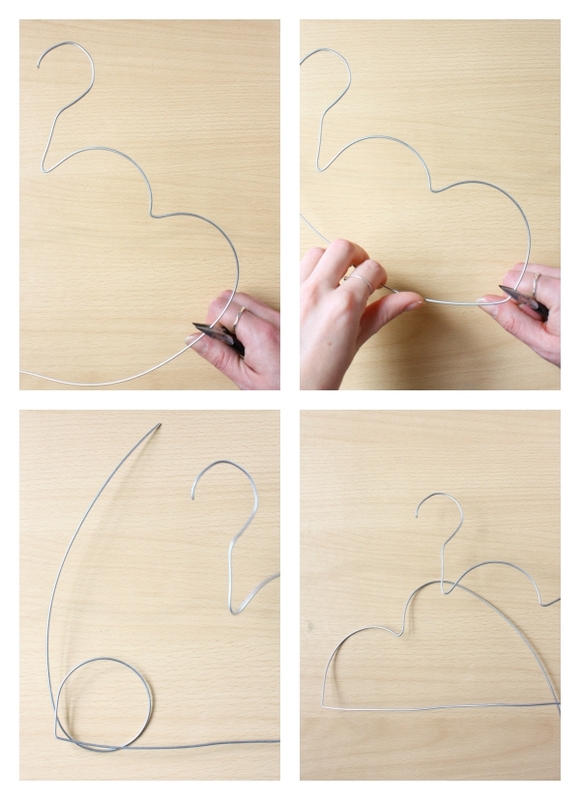 Manipulate the wire until you are happy with the shape. 3. 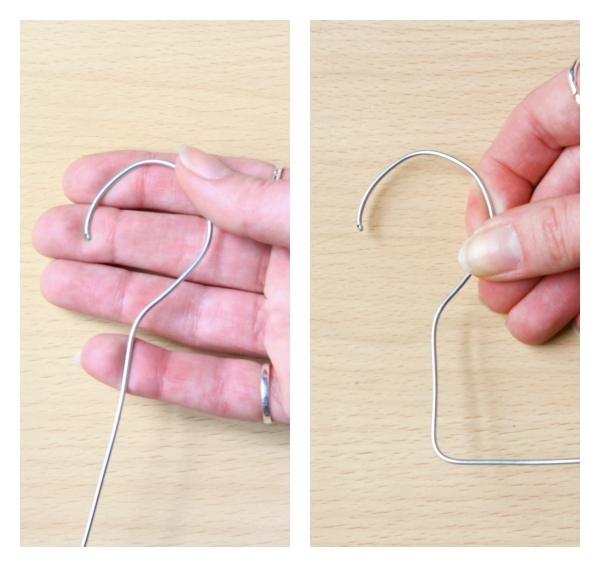 Make a bend to form the base of your hanger, straightening the wire as much as possible using your hands. 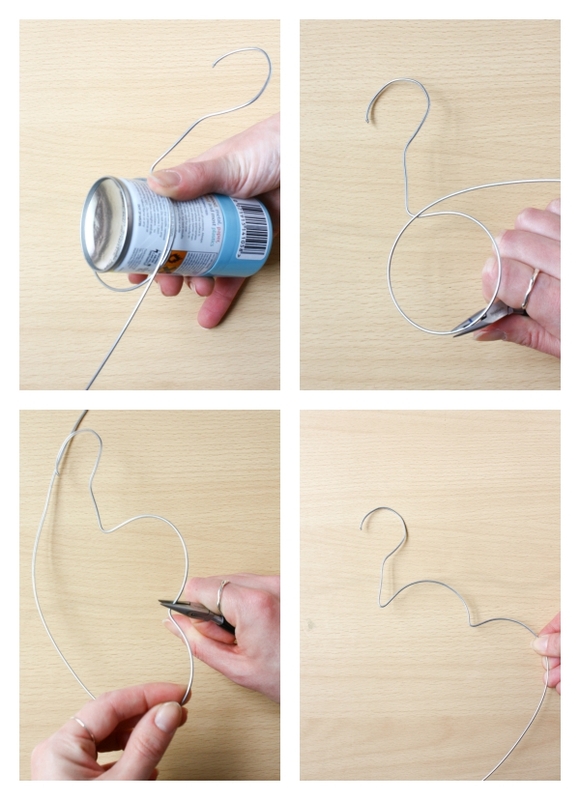 Create a bend upwards and wrap the wire around the spray can and bend it our halfway round as you did before. 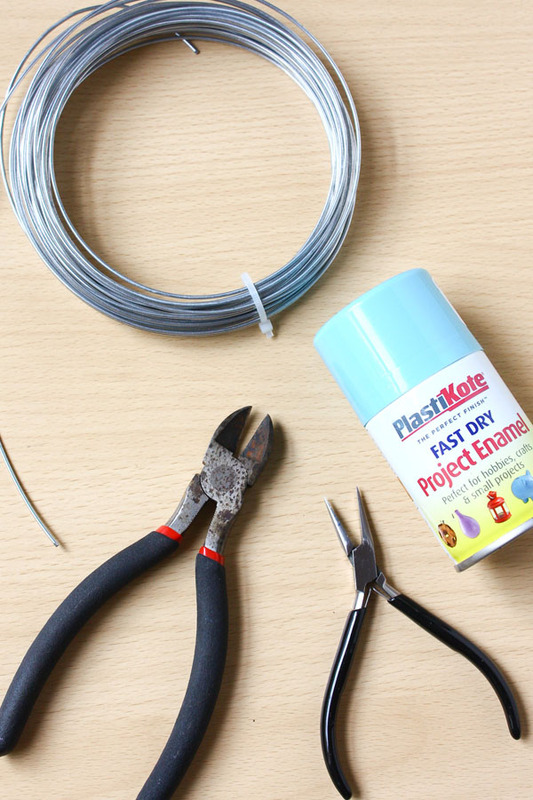 4.Manipulate the wires so you are happy with the shape and make a final bend where the wires cross. Holding both ends, twist the wire together. Be careful to twist both at the same time and not one around the other, as this won’t be secure. 5. Coat one side of the hanger with a light layer of spray paint, leave to dry, turn over and spray the other side. You could make a whole wardrobes worth or just one or two! If you have a go at making this tutorial let me know on Twitter,Instagram or Facebook so I can share with everyone! I love seeing your makes Happy Making! I really like this! Thank you for sharing. I would love to see some made with a heart design.